One of the newest assets in our yard is our remote control track. It is another unique option for children at Yarrambat Primary. 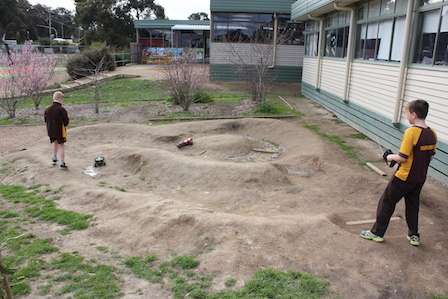 Made by a group of children and parents at school and during a working bee, the remote control track features a range of obstacles for the most daring of drivers.